It is in a complex of summer houses. 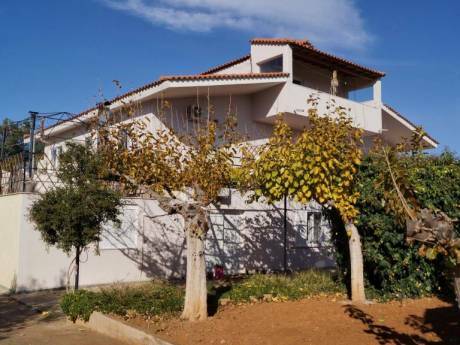 Ideal 3 floor country house on the beach for relaxing, one bedroom with double bed and sea view, second bedroom with one or two beds, livingroom open space with kitchen, sofa, tv, fireplace and veranda with big garden right 20 m from the sea, very nice for family or couple in love. Very close super market and small town with restaurants and night life. For us is the second home and we are willing to exchange for long period. For anyone who really need to spent time near the sea in a warm and sunny place with special climate is ideal. We are a couple, Sakis and Eleni, middle age, willing to see other countries. 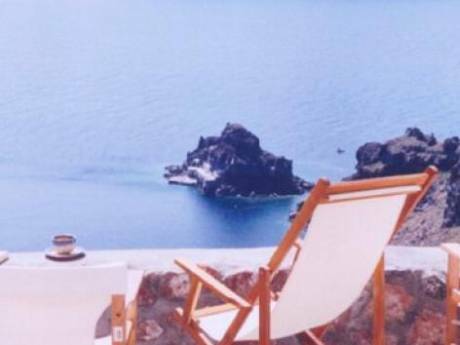 I used to have real estate office and my husband constructions company but know we are not working, I am writer, my books are in all the Greek bookstores, we both like Greek music, also we have a sailing boat and we spent some time around the islands. Neighborhoods are family's with children and some couples, they are using the houses summer time, in the complex winter time not so many people.